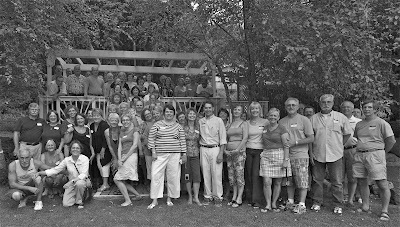 Yesterday, August 21, 2010 about 65 of us from the 1970 class of Quakertown High School got together for a wonderful 40th class reunion at the Meadows outside of Quakertown. We gathered for a group photograph. See if you can recognize anybody in the pictures above. If you click a photo, it will expand. How lovely for you all to be back together again.